Filed under: All News Stories, Social Events, Golf News, Golf Development, Course News, Team News, Ladies Club News, Men's Club News, website news, Competitions, Winter Tournament (2014), Twitter, Winter Tournament (2015), Matchplay 2015, Winter Tournament 2015/16. Following our win against Hermitage, Revive Active Ladies Team play Knockanally tomorrow (Fri) at 2.30pm with two matches at home and three away. Well done to our Men's All Ireland Fourball on a convincing victory on Easter Sunday against Lisheen Springs. The two matches at home were won and when the men secured a win away, the remaining two pairs were called in even though both were in a winning position at the time. Well done to Geraldine Dunne with 16 points and Elaine Healy with 13 points (back 6) in their persuits on St. Stephen's Day. Congratulations to Geraldine Coghlan, Wendy Kearon, Caroline Hill and Annette Egan who won the Senior Womens Golf Association Christmas Outing in Malahide on Monday 27th November. A giant "thank you" to everyone who gave so generously for the Hospice Coffee Day. A fantastic result, €1,545. Well done to you all - those who played, bought tickets, donated raffle prizes, baked and finally those who cleared away afterwards. Your help for those in need is very much appreciated. Regards, Dodie. 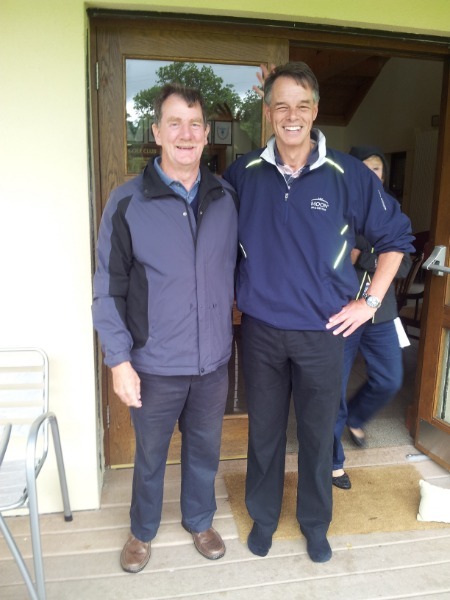 A great day was had at Woodbrook Golf Club for Captain Tom's away day. Despite some wind and few showers the winners brought home great score. CHANGES TO DIARY - please note the following alterations - apologies for any inconvenience. Best of luck to Annette Egan & Anne Gildea and Caroline Hill & Susan Maher who are representing KGC in East Leinster District Finals of ILGU Australian Spoons competition in Craddockstown on 14/8/17. Filed under: All News Stories, Golf Development, Team News. Congratulations to the Ladies of the Junior Foursomes Team - Barbara Kearney, Gedingka Fair, President Geraldine Coghlan, Jennifer Moffett, Wendy Kearon & Ann Turley. The ladies beat Old Conna yesterday in KGC. Best of luck to the team and Manager Caroline Hill in their next match against The Grange. Seen here Barbara Kearney and Gedingka Fair who won their match on the 10th hole! 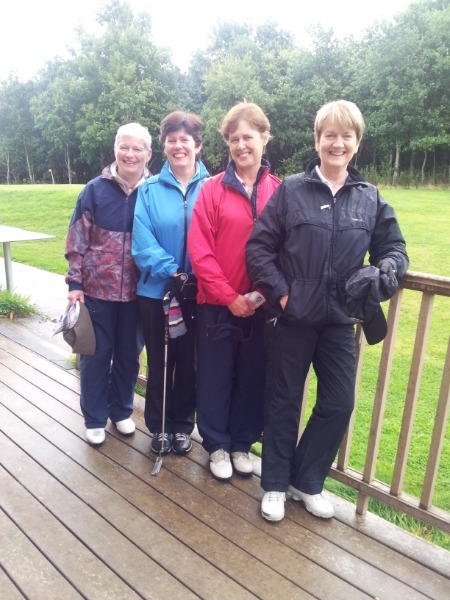 The second match which clinched victory was won by Wendy Kearon & Ann Turley on the 18th hole. Geraldine Coghlan and Jennifer Moffett were called in on the 18th where they were 1 up. Filed under: All News Stories, Golf Development. Filed under: All News Stories, Social Events, Golf Development, Ladies Club News, Men's Club News. Quiz Night a Great Success! Filed under: All News Stories, Social Events, Golf Development. The Quiz Night in the Clubhouse last Friday night was a great success. There were 10 tables on the night.